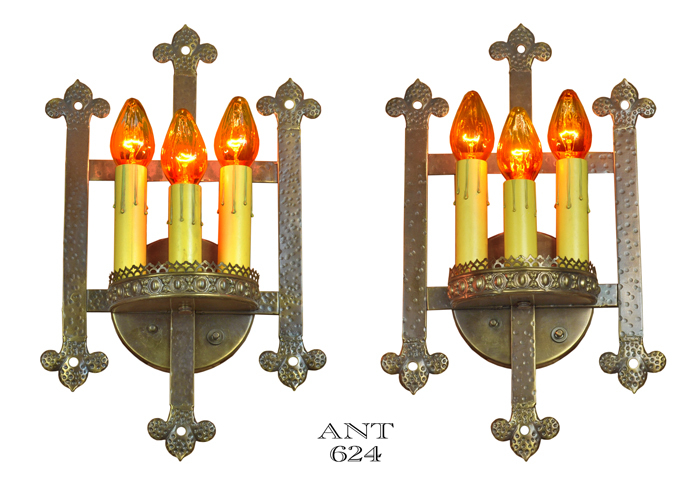 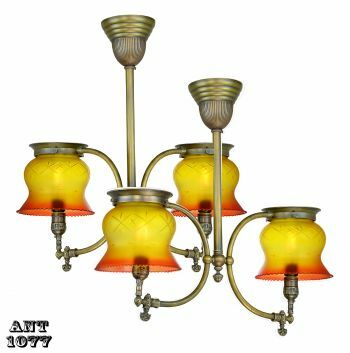 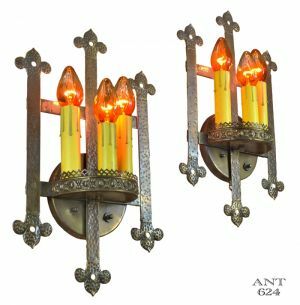 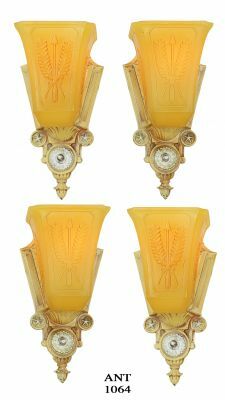 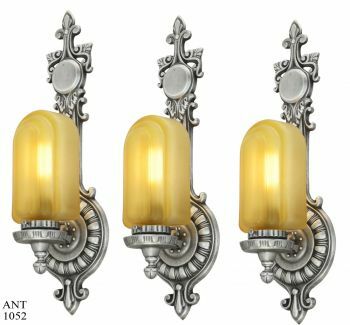 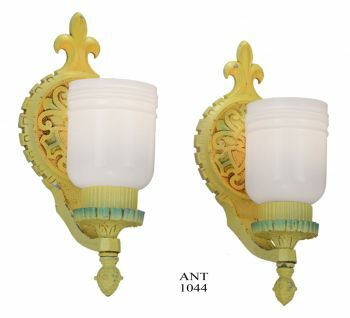 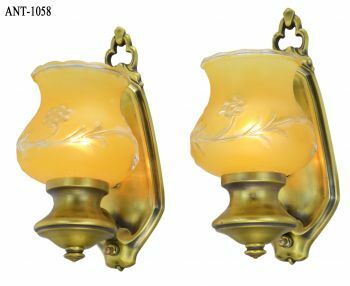 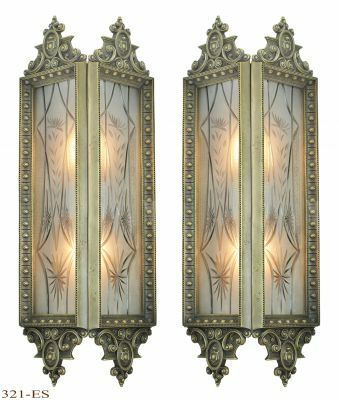 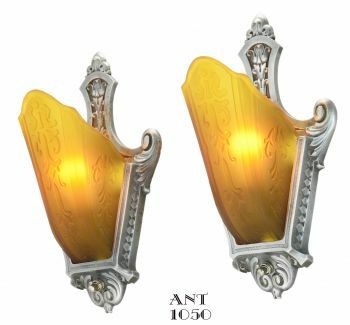 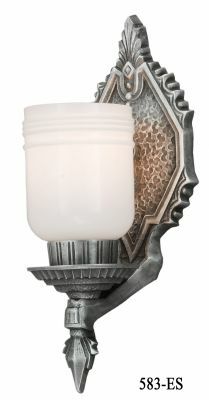 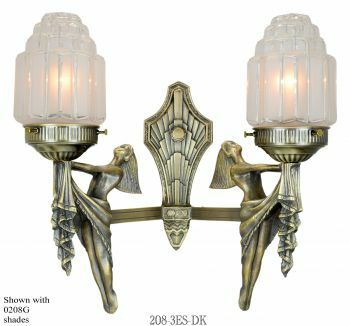 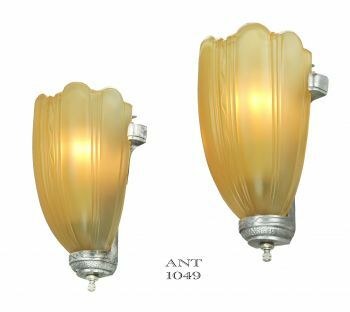 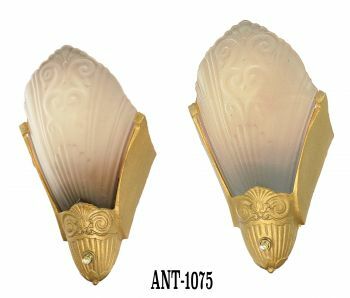 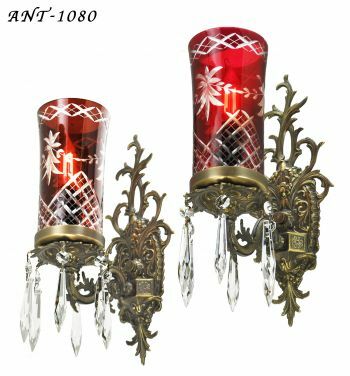 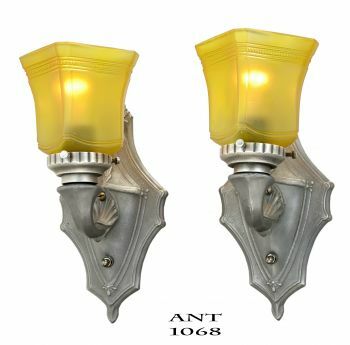 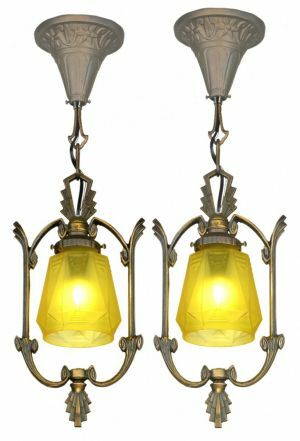 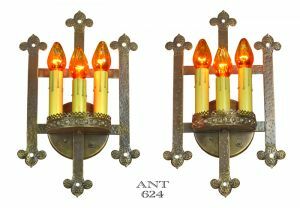 Gothic style torch light sconces. 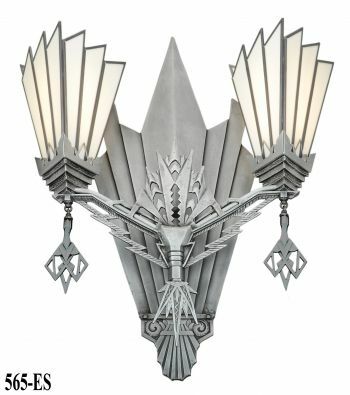 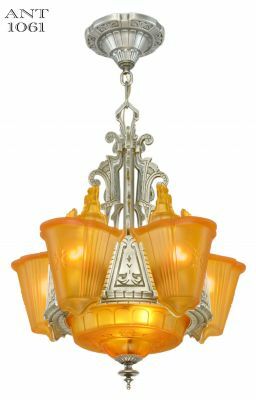 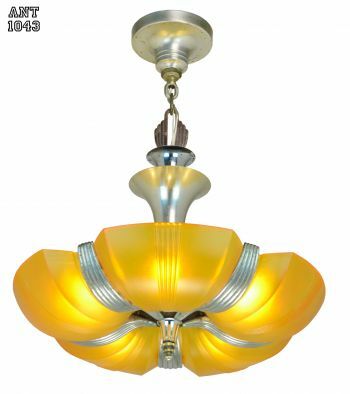 This torch design is unusual in that there are three lights on each, which does give significant light, and a great appearance. 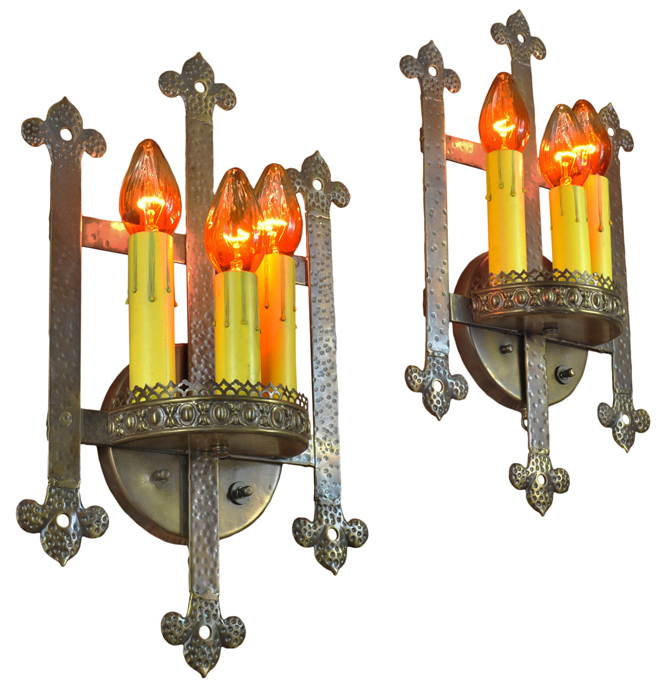 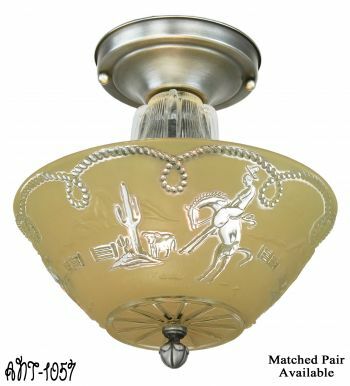 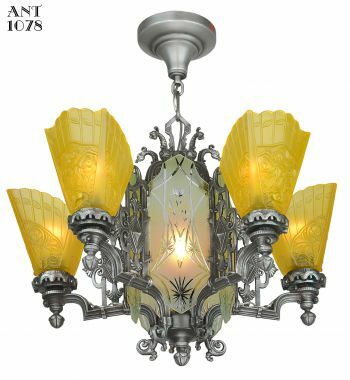 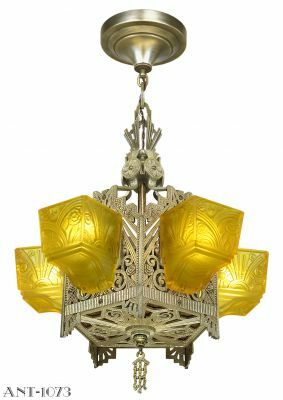 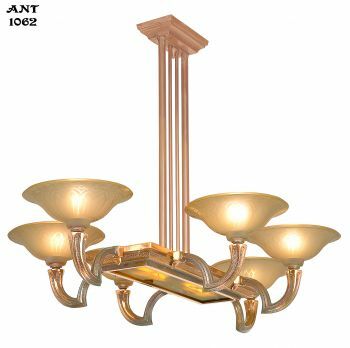 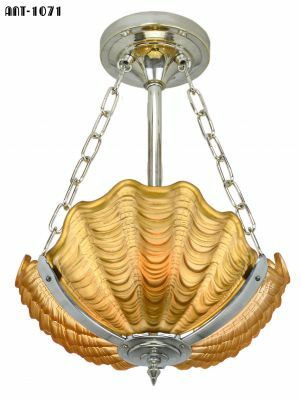 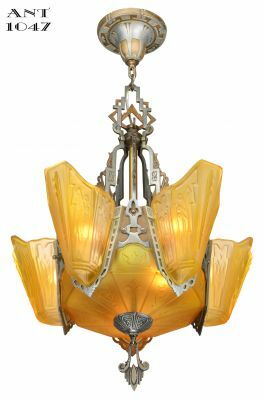 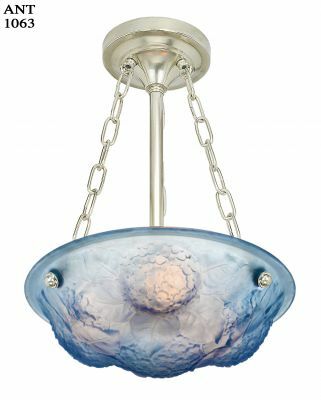 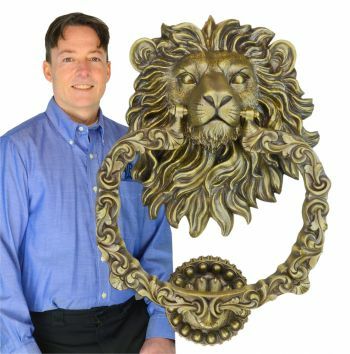 The metal is a brassy antique finish, with a hammered look and the Gothic design. 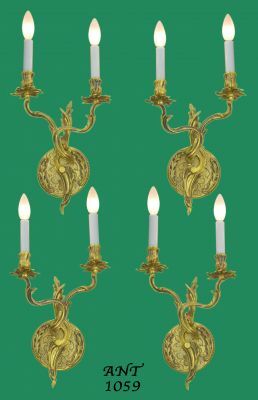 An impressive presentation of this motif. 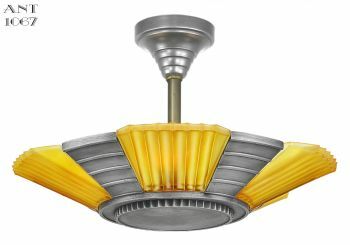 Projection: 4" from the wall into the room. 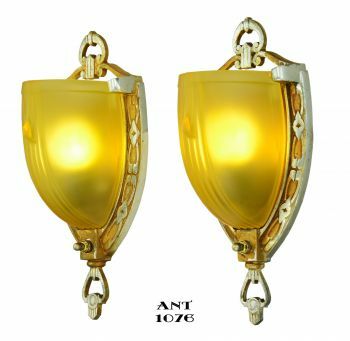 $650.00 for the complete pair as shown...plus careful packaging and shipping.